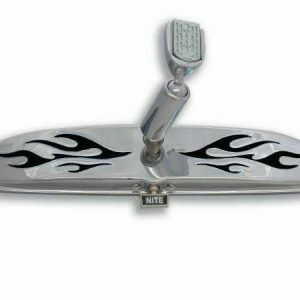 More Punch for the 2006-10 PT Cruiser! After years of R&D work with previous generation PT Cruisers, AIRAID engineers quickly identified how to improve the breathing on the non-turbo 2.4 and developed an all new QuickFit“ intake for the PT Cruiser. 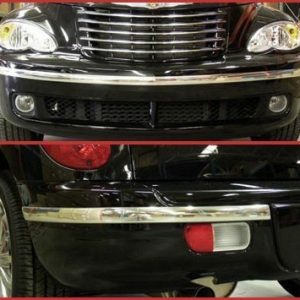 Like all AIRAID QuickFit“ intake systems, the new PT Cruiser system utilizes the lower portion of the stock air box for easy installation and improved air flow. The computer-designed system also seals against the underside of the hood to ensure cool, outside air is fed to the intake. 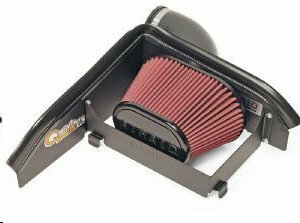 Besides boosting horsepower and torque, AIRAID“s new QuickFit“ intake provides superior filtration since it uses a washable and re-useable AIRAID Premium Filter with SynthaFlow“ Technology. Protect Your Investment with Car Door Edge Guards!